About video: This video demonstrates a free style poem from Rixa White named "An Untold Love". It contains a romantic themed slideshow that intentionally shows women with hidden faces to project a secret love. About music: The background music is "Sabine" which is a romantic Electronic single track from Silentaria. About poem: The poem is a story of a lover whose beloved died before they can express their emotions to each other. It is inspired by the love between Jean-Christophe and Sabine in Romain Rolland's novel: Jean-Christophe. You can find the poem at "An Untold Love" poem page. About video: This video is a short introduction of "Sabine" single track. 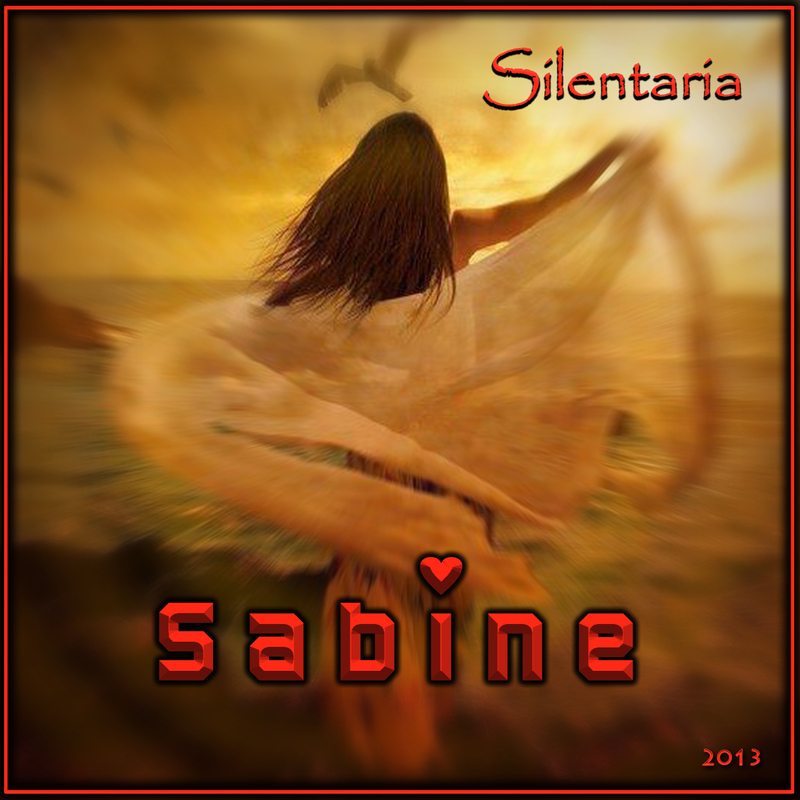 About music: The background music is the initial part of ''Sabine' romantic Electronic music track by Silentaria. My guest today is a musician, a poet, and a man of mystery. Rixa White, the former spirited online entrepreneur hid his identity, transformed his destiny, returned to his roots and followed a new path in life through his music. As a self-taught Pianist, Keyboardist, Composer and poet, he was never an alien to music world as he started to play at age 6 and composed his first recitals when he was 14. In 2010, he created Silentaria musical project by combining elements of Electronic, New Age, Contemporary Instrumental, Ambient and Progressive Rock genres. It is the reminiscence of Vangelis, Jean Michel Jarre, Kitaro, Enya, Yanni, Enigma and Era. Although he traveled the world for his business, it never stopped him from watching sunset in stonehenge, dancing with gypsies in Malaga (Spain), burying himself in Middle-Eastern sands, treading barefoot on the sacred soil in an Indian temple, walking along great wall in China, staying in a Japanese monastery, getting drunk at 5th avenue, losing his way in UN at Geneva, kneeling in Sistine Chapel and listening to lost souls in Rome Coliseum. Nowadays, if not traveling, you can find him developing new gears and features for his music, composing new melodies in his personal studio for Silentaria or writing a new poem to share with fans and friends. You are only photographed with a white mask, and have become known as ‘Man in White’. What is the reasoning behind wearing the mask? For the last 10 years, I have only worn plain white and friends called me “Man in White” for it. After years of adventurous life, I found it peaceful although it is kind of hard to find white outfits with no visible signs or trademarks. Can you tell us a bit more about the Truth, and Rebellion against what? The Truth can be anything in the form of beliefs, emotions, wishes or objections that we hide from society, our friends and even ourselves, because we are in fear and need to protect ourselves from losing or being judged as unacceptable. My mask emphasizes the fact that we hide the truth behind the masks we wear and the roles we play every day. In outside world, it might seem impossible to drop all masks that society forces us to wear, but we always have a chance to know them, eliminate some and choose new ones consciously. You’re inspired by something called the ‘Wholeness and Emptiness philosophy’. Please explain a bit about that for us. Emptiness is about being empty of judgment, thought, belief, etc. It helps us to look at an experience in a simple way and add nothing to and take nothing away from it. It is a journey to meet the wholeness within. My entrepreneurship in IT business gave me a chance to travel a lot and seek for my unanswered questions in every corner of the world. Once in a Zen temple I learnt about Emptiness philosophy and wholeness concept and found out that the answers are hidden within and all I need to do is to empty the inner side to hear the voice of it. Silentaria is a made-up name with two parts of “Silent” and “aria”, indicating a quite hymn or tune. The combination is pointing to the silence of human inner side as a temple of silence which is the source of every sound. What/Who are your musical influences? I grew up listening to pop stars like Michel Jackson, Modern Talking, Madonna and Sandra along with Electronic New Age musicians like Jean Michel Jarre, Vangelis, Enigma and Kitaro. Growing up in a multi-cultural family, I listened a little bit of Classical music here and a little bit of World music there. Later during my travels I get influenced by acts like Yanni, Era, Gregorian Chants, Enya, Sacred Spirit and VAS. Your music is mainly instrumental? Do you find it more difficult to tell a story without lyrics? Actually, I have some unreleased tracks with lyrics, but I usually communicate better through instrumental music. However, when I feel the need to say something through words, I write a poem. When I compose a music track, I use melodies, instruments, harmonies and beats to express my message and then I name the track and album to encapsulate my purpose through words. I think the experience of listening to instrumental music is more pure and personal, like reading a book before watching it as a movie. You can not ignore lyrics in music, but it is easy to release your imagination to fly free, when listening to lyrics-free music. Once a novelist said about going off into a world of his own while listening to “What’s Real?” album as a background for his thoughts and the vagaries of his imagination. He mentioned that it acted as a stimulus when he was working on scenes from his novel. My profession is driven by words, so I’m especially curious about the creation of music without lyrics. What inspires you? Is there a story being told, or is it more about an emotion you’re feeling and expressing? When I am busy dealing with thoughts, emotions and visions in daily life, I often murmur melodies to myself and sometimes one of them captures my mind and I feel the need to write and store it in my track pool. For an album or a sequel like “The Inner Journey” with a story-line, I design the story, then place the tracks by either choosing them from my track pool or write a new piece for that album or sequel. In other cases, like music on demand for a program or movie, it is the subject or story that leads me to write proper melodies. Your music is considered Electronic New Age, which people often associate with inspiration and peacefulness. But your song titles are either despairing like “Lament of Being”, “The Ruined Innocence”, “Deceived” or challenging like “Beyond Destiny”, “Oceans of Illusion”, “Curtain Over Eyes”. Please explain a little bit about it for us. I have been criticized as an unorthodox in New Age music world and even been told that my rebellious music concept can create a chaos in beliefs and leads to melancholy, but as Nietzsche said “You must have chaos within you to give birth to a dancing star”. So, instead of forcing my audience to relaxation and serenity, I encourage them not to fear and experience life as it is. There is no must on producing only optimistic and hopeful titles in New Age music and as a musician I produce my music to share my inner voice. During the production and naming process of each track, I remain loyal to my instincts about atmosphere of the melody, whether it is mysterious, sorrowful, rebellious, romantic, energetic or epic. Anyway, styling and categorizing my music as New Age or Contemporary Instrumental is what music stores did, although this rebellious aspect of New Age music had been forgotten for a while. Your poetry is quite moving. The video you put together for ‘They are Cruel’ is powerful. When you write poetry, do you sit with a specific intention? Or are the words born from emotion, rather than intent? Writing poems is an immediate emotion expression for me. I never sit to write a poem with a specific intention. Poem-videos like They are Cruel are made as a fusion of my music and poetry combined with photos and videos to add a visual dimension to my message. I hope you enjoy watching Power of Peace and For What’s Worth Breathing as well. You have released two music albums for Silentaria project so far, what’s next? The Beginning of the End and What’s Real? albums are the first two parts of “The Inner Journey” sequel. The next album in this sequel is “Who Knows?” that will be released on Spring 2013 and I will close “The Inner Journey” sequel by releasing two more albums till the end of 2014. Also, apart from that sequel, I have been working on a separate album, named “Dark Light” for Silentaria project; that will be released by end of 2013. Thank you, Rixa, for sharing your thoughts with us. I hope you’ll take the time to explore Rixa White’s musical and poetic world. Did you have a favorite poem from the ones shared today? We’d love to hear your thoughts! Read this article in Darcia Helle's blog. Suspense, random blood splatter and mismatched socks consume Darcia’s days. She writes because the characters trespassing through her mind leave her no alternative. Only then are the voices free to haunt someone else’s mind. 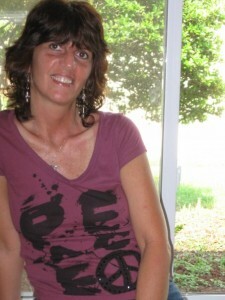 About video: This video displays a free style poem from Rixa White named "Forgotten Promises". The main video theme is Christmas with background videos and related photo slideshow. About music: The background music is "Forgotten Promises" which is an Electronic New Age single track from Silentaria. About poem: The poem talks about current situation of the world in spite of promises that we make every new year to make a change. You can find it at "Forgotten Promises" poem page. Material from this website may not be copied or transmitted without written consent of the author. 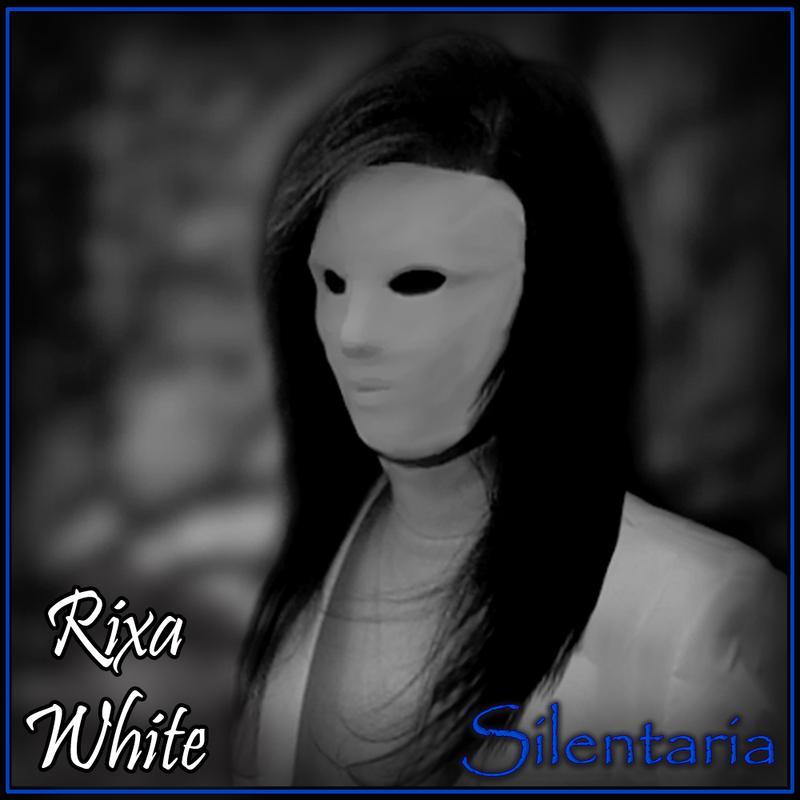 Rixa White © 2014 - All Rights Reserved. Travel theme. Powered by Blogger.